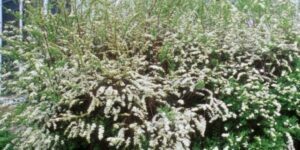 Cascading White Blossoms A new and improved variety of the bridal wreath, Renaissance Spirea is a deciduous shrub. It would be terrific as a foundation planting or as an accent plant. 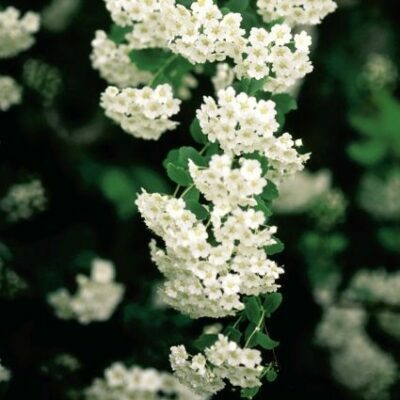 Your Renaissance Spirea boasts of pristine, white flowers that bloom in large number along its branches each spring. The effect of white flowers along the gracefully arching branches calls to mind a flowing waterfall, with cascading blossoms flowing up, over and down to the ground. The white flowers are particularly stunning on cloudy days or in the moonlight. 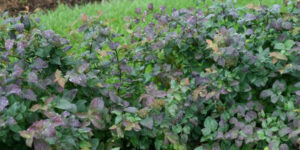 The small, lobed leaves are serrated and have a bluish-hue to the green, creating a fine-textured appearance that is sure to set it apart in your landscape. 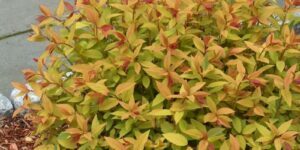 In autumn, the foliage presents a red/orange coloring for some added late-season interest. 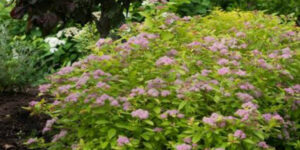 Renaissance Spirea will grow up to 5 feet tall with a 6-foot spread. 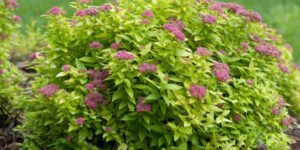 Its multi-stemmed, somewhat compact nature lends it a refined appearance for your landscape. 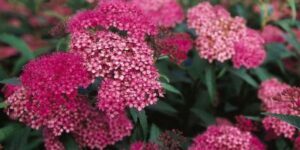 This particular variety is considered low maintenance and is not only more compact, but also more disease resistant than other varieities. Renaissance is tolerant of many soil types and environments, and is even cold hardy. 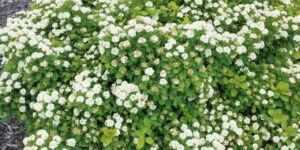 With optimal conditions, this cold-hardy plant can be expected to live for up to 20 years. 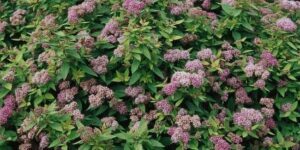 A lovely, spring-blooming shrub that’s fast-growing and carefree, Renaissance Spirea is an ornamental shrub that’s sure to bring you years of enjoyment and beauty.